On Saturday 29th December, all age groups of Aston Swallownest jfc including our frame football team took part in ELF DASH 2018 to raise money not only for our club but also for the families under the tremendous care of BLUEBELL WOOD CHILDREN’S HOSPICE. 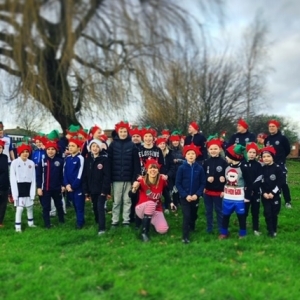 An amazing turnout from not only the children but also the coaches and parents and lots of fun as ‘the elves’ ran around the playing fields of lodge lane school. Hopefully an outstanding amount will be raised as we as a club try to give something back to the families not as fortunate as our own.